Here at Rue & Ziffra, we know that Social Security disability can be a daunting topic since there are many variables that come into play. To many people, it seems like an insurmountable task when looking at the entire process. To help you obtain a resolution that benefits you, we have put together a list of our top ten tips when it comes to looking into Social Security Disability. Tip One: Be Prepared. If you go into a complex process knowing that it will be a bit of a journey rather than a short, easily finished application. Then, you will already be one step ahead mentally. It is when people begin to feel overwhelmed by the process that the desire to put it off grows stronger. Being prepared for this process going into it will also help you cope with any stress it causes along the way. Tip Two: Write Down Important Information Or Record Your Conversations With The Social Security Administration. Some of us have trouble remembering what was said to us yesterday, much less for a conversation that happened weeks in the past. Having a notepad or a voice recorder in front of you during your phone discussion with the SSA will be a great asset when trying to remember answers to the questions that you asked, and is a great way to help you remember what additional steps need to be taken. Tip Three: Get a Diagnosis From a Specialist. Visiting your family doctor is a great idea, however, when applying for Social Security Disability it is important to have as strong of a case as possible. A family doctor is great at diagnosing many general conditions, but having a specialist weigh in on your disability will only lend more credibility to your case. Tip Four: See Your Doctor On a Regular Basis. This is a necessary follow up for tip three. Nobody (that we know of) truly enjoys regular visits to their physician, but having regularly scheduled appointments with a doctor can go a long way in solidifying your disability claim. The Social Security Administration will be looking for updates to ensure that your condition still meets their requirements. Ceasing your appointments with your physician can be seen as a change in your condition to the SSA. Tip Five: Be Honest On Your Application. It goes without saying that pretty much any application for anything can be considered invalid if inconsistencies or false data has been entered. It is no different with the SSA. This includes exaggerating details about your condition. When describing your condition, be as clear, honest, and descriptive as possible. Tip Six: Do Not Ignore The Residual Functional Capacity Form. This is a vital part of applying for Social Security Disability. When your doctor fills out this form, they are describing the negative effects that functioning in a work environment has upon your condition. This might seem like an unnecessary step since you are medically disabled, but it is quite important to provide proof that any sort of substantial work is beyond your capacity. Tip Seven: Do Not Panic. Sometimes applications for Social Security Disability are denied. A denial is not the end of the road. Within the application process, there exists more than one level of consideration for benefits. Viewing a denial as defeat and giving up is not something that needs to happen. Tip Eight: Do Not Hesitate When Appealing a Denial. There is a deadline when it comes to sending in an appeal. Unfortunately, missing this deadline results in having to start the application process over again from the beginning, which can be an unnecessary burden and increases the time it takes for you to begin receiving benefits. Tip Nine: The Application Process For Social Security Disability Needs To Be Understood. This can be a complex process involving many items that need your attention. From forms that need to be filled out, to following up with your doctor, to being aware of the periodic disability reviews – the more you know, the easier the process is for you to digest and get through. Tip Ten: Seek a Social Security Disability Lawyer. This ties in to many of the previous nine tips, as an attorney can provide assistance when it comes to nearly all of these tips. A lawyer might not be able to make you maintain regular visits to your doctor or force you to be mentally prepared for the application process, but having one can certainly help. Sometimes the internet does not provide you with the exact answer to your specific needs or situation, but this is where an experienced social security disability lawyer can greatly assist you. Understanding the process that applying for Social Security Disability entails is a crucial step. Sometimes the answers are not always easy to find when you have complex questions or scenarios. Rue & Ziffra has been a leader in the field of justice since 1976 and specializes in over fifteen different legal areas. 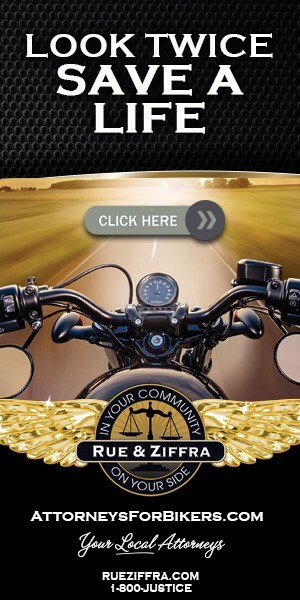 If you are looking for a social security disability lawyer, Rue & Ziffra are the experts when it comes to litigation of this type – having handled over 28,000 cases in total, and resolving Social Security Disability cases since 1998, with the only Boards Certified Social Security Expert In Flagler and Volusia Counties, Luis Gracia.. Bringing over 182 combined years of law experience to the table, we have the knowledge and skill to fight effectively in order to protect your rights. This experience allows us to bring your case before a judge in the strongest condition possible since we know what it takes to win a case. Let us be your advocate when it comes to fighting the insurance companies to get you the resolution you desire. We pride ourselves on being able to offer effective communication with our English, Spanish, and Russian speaking attorneys so that we can provide the best possible service to our clients. Everyone is entitled to justice, and we take personal injury cases very seriously on a contingency fee basis – what this means is that you do not pay unless we win.